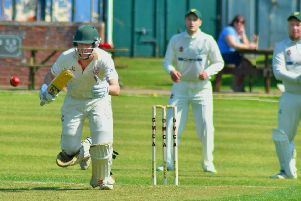 A stirring fightback from Charnwood Rutland Warriors fell just short as they lost their top-of-the-table clash against National Premier League leaders Sussex Thunder in Brighton. Warriors, who are based at Brooksby Melton College, started slowly, with Sussex pulling ahead midway through the first quarter at 12-5. The visitors made changes in mid-court to slow the Sussex momentum, with Georgie Brock-Taylor switching with Jaydene Robinson at wing attack. Brock-Taylor made a great impact with strong drives down the court, but a harsh two-minute suspension of Warriors goal keeper Maddie Munroe-Hall allowed Sussex to extend their lead to 22-7 by the end of the quarter. After an in-depth team talk and reshuffle of positions, Warriors soon made an impact with turnovers from Melissa Oakman at goal keeper and Munroe-Hall at goal defence, leading to a run of six goals from Sam Griffin (goal attack), and Ellie Gallacher (goal shooter). A more competitive second quarter ended 36-20. In the third quarter, centre court players Corey McGlynn and Abi Hymas kept up the defensive pressure to force errors and cut off the supply to Sussex’s 6ft 4ins goal shooter. With some good passages of play, Warriors stayed within reach, tying the quarter to trail 48-32 overall. The visitors came together as a powerful unit ibn the final quarter, with turnovers allowing them to close the gap and making Sussex panic. Katie Welsh came on at wing attack for the remaining minutes, making great feeds, as Warriors produced a fantastic effort to win the last quarter 18-9, just falling short of a great comeback as the match ended 57-49. Player-of-the-match was Ellie Gallacher (GS). Squad: Ellie Gallacher, Sam Griffin, Jaydene Robinson, Georgie Brock-Taylor, Corey McGlynn, Abi Hymas, Melissa Oakman, Maddie Munroe-Hall, Laura Bailey, Katie Welsh, Rachael Duckers.